Correction to Grants Pass Courier article about poisonous pet fish. The Grants Pass Courier ran a story about poisonous marine fish on December 16, 2006. Unfortunately they did not do their home work (not that it would have been hard to get the correct answer, I personally have ran an ad with the front page for over a year without one response, the writers easily could have had the courtesy to ask an advertiser such as myself who has been in the aquarium trade profession since 1978 with one of the largest maintenance companies in LA). Foxface and Lionfish produce different neurotoxins that attacks the nervous system, so does the Stone Fish, Puffer Fish, and the Blue Ring Octopus (as well as the Black Widow Spider). Each of these fish/animals puts in different amounts or use different neurotoxins that are more or less deadly/toxic. This is important to note as a second or third sting/bite with neurotoxin can be life threatening (which a Blue Ring is very much so due to the highly toxic nature of the Tetrodotoxin used by these cephalopods and only one bite is needed to kill a human). Foxface which use a more mild "Enterotoxin" which primarily breaks down proteins in the intestines are not generally a danger though to the hobbyist. The best treatment is a hot compress of 50 C with baking soda. At this temperature tests have shown the poison to be denatured. 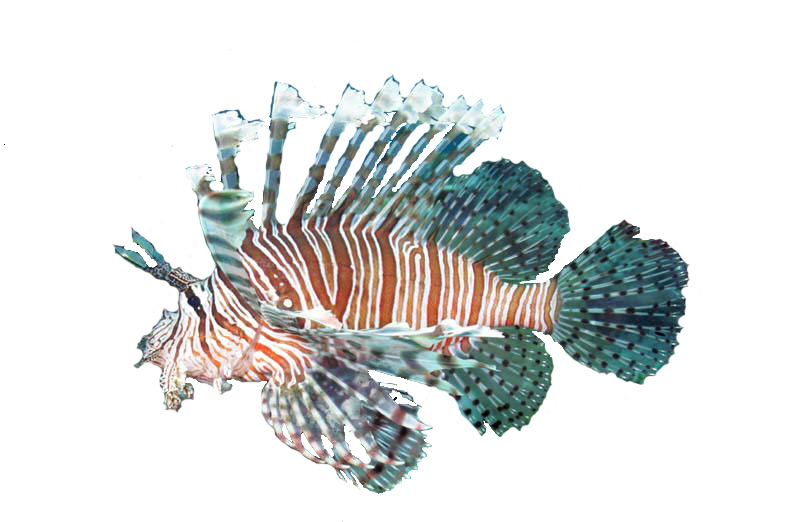 Lionfish use a more dangerous Neurotoxin that while usually not fatal, is more dangerous than that of the Foxface, but not as dangerous as a Blue Ring Octopus or Puffer fish which utilize a Tetrodotoxin. The Black Widow Spider uses a latrotoxin which is another form of neurotoxin. The story implied a tissue toxin, which is very different with different treatment. The Courier should realize there are some people who may know something and get their stories strait. Admittedly not all internet sources are correct here either, that is why the best sources are usually human medical articles as describing the wrong venom in a medical article could draw a lawsuit. Aquarium Saltwater-Marine Basics For more information about poisonous marine animals. -A great source for current aquarium information that is updated regularly as new research becomes available. -Not really Grants Pass related, but since many who read this are online shoppers I thought I would comment. Unfortunately my comment is not good. I do not know how this company did business in the beginning, but based on my customer feedback (And I am mostly referring to my previous Pet Store customers mostly), they gave poor customer service with lack of true knowledge (which became a reason for many aquarium maintenance service calls) and support for products sold such as the Aquarium Cleaning Machine or Submariner UV Sterilizer. This place also often sold poor quality or out of date merchandise according to my customers. Currently customers have stated that they carry the less than desirable, aquarium pumps, filters, LED Aquarium Lights, and along with some good UVs cheap poorly made UV Sterilizers (Aqua Medic) that will give UVs a bad name. Admittedly this is based on "here-say", but reliable "here-say", and I can vouch for the poor quality of Marineland, and Hagen power heads and especially the really poor quality of Aqua Medic. I can also state that in my opinion it is dishonest when a web site does not have a clear shipping price and policy link and the only way to find this is to go through the checkout process (which most customers when then purchase, even if they think the shipping is too high). And does not have an easy link to such. For me this in my opinion is once again frustrating to watch companies such as this grow while honest companies that often operate on razor thin margins by selling quality products and by quality staffing are ignored by the buying public. Partly due to the general apathy that has swept over our Great Country. I was visiting Yahoo Answers (this is a really poor forum for good advice, but I visit regularly to help where I can), I found a post inquiring as to where Spirulina Flake may be found, and Dr. Fosters and Smith was listed as a place to get this product. I followed the link and all Dr. Fosters and Smith had was a very poor quality Tetra Spirulina flake that has spirulina way down on it's list of ingredients, as compared to the Spirulina 20 which I recommend which has this ingredient as #1. This is typical, people are basically lazy and will go to web sites or store based on image rather than knowledge or quality. What a sad point this is.